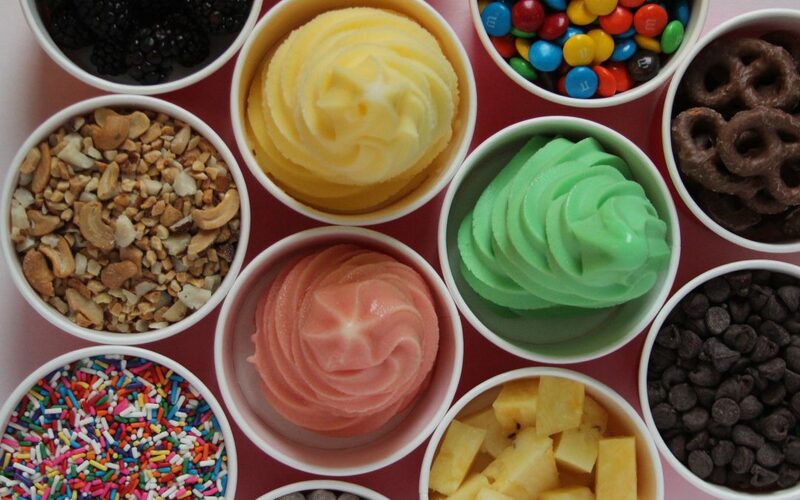 More than 60 Toppings available! Customize your dessert just the way you want it! Indulge your inner child with popular candies & cookies, gummy bears, sour gummy worms, sprinkles, nuts, hot fudge, caramel, whipped cream and so much more. Or keep it healthy with fresh fruits, coconut and organic granola.